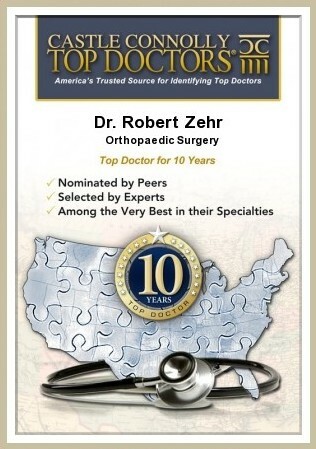 Emergencies - Orthopedic Surgeon For Hip, Knee Surgeries at Zehr Center In Naples Florida. In a true emergency (heart attack, stroke, broken hip), you must DIAL 911 and ask for help. Dr. Zehr and/or his physician assistant try to be available and on-call 24 hours a day for emergency care of our patients. As a solo practitioner, sometimes this is not possible. If our office is closed when you call (239-596-0100) and you have a real medical concern that is not a true emergency, our answering service will pass your call on to the staff member on call who will try to call you back in a timely fashion to address your needs. If the concern is not urgent, the answering service will make sure that your concerns are recorded and passed on to the office staff to be addressed upon the re-opening of the office. Running out of pain medicine is a problem, especially when the pain of surgery is intense but… this situation does not constitute an emergency. 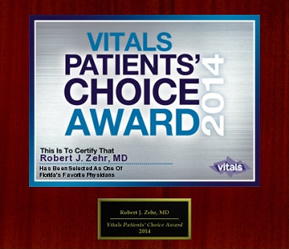 We are happy to help you obtain prescription medication that Dr. Zehr has written for you during normal business hours so that we have access to your medical records for review. We will be unable to call in narcotic prescriptions when the office is closed. All narcotic pain medications cannot be called in over the phone and the pharmacy requires a hard copy prescription which cannot be made available when the office is closed.